With the Announcement tool, students are available to view important information concerning their course. The instructor of the course uploads the information in the form of messages so that the students can view it and act accordingly. In the My Announcements module on the home page or My Institution tab, click an announcements link. On the Tools panel, click Announcements. 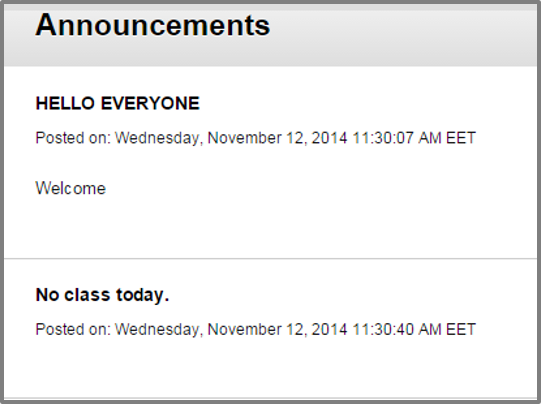 Note that you can also receive Bb course announcements in your acg.edu email user account and the inbox folder.